Black root rot of strawberries is a serious disorder commonly found in fields with a lengthy history of strawberry cultivation. This disorder is referred to as a disease complex since one or more organisms may be the cause of the infection. In the following article, learn how to recognize the symptoms and get tips for the control of strawberry black root rot. Black root rot of strawberries results in decreased productivity and longevity of the crop. Crop losses may be from 30% up to 50%. One or more fungi, such as Rhizoctonia, Pythium and/or Fusarium, will be present in the soil at the time of planting. When root nematodes are added to the mix, the disease is usually more severe. The first signs of black root rot become apparent in the first year of fruiting. Strawberry plants with black root rot will show a general lack of vigor, stunted runners and small berries. Aboveground symptoms may mimic symptoms of other root disorders, so the roots need to be checked out before a determination of the disease may be made. Plants with the disorder will have much smaller roots than normal and will be less fibrous than those on healthy plants. The roots will have patches of black or will be entirely black. There will also be fewer feeder roots. Injury to plants is most obvious in low or compacted areas of the strawberry field where drainage is poor. Wet soil that is lacking in organic matter fosters black root rot. Since several fungi may be responsible for this disease complex, treating the fungi isn’t an effective method of control for strawberry black root rot. 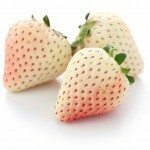 In fact, there is no absolute strawberry black root rot treatment. A multi-pronged approach to management is the best option. First, always ensure strawberries are healthy, white-rooted plants from a certified nursery before adding them to the garden. Incorporate plenty of organic matter into the soil prior to planting to increase tilth and minimize compaction. If soil is not well-draining, amend it to improve drainage and/or plant in raised beds. Rotate the strawberry field for 2-3 years prior to replanting. Abandon strawberry cultivation in areas known to have black root rot and, instead, use the area to cultivate non-host crops. Lastly, fumigation prior to planting is sometimes helpful in managing black root rot in strawberries but is not a cure-all.